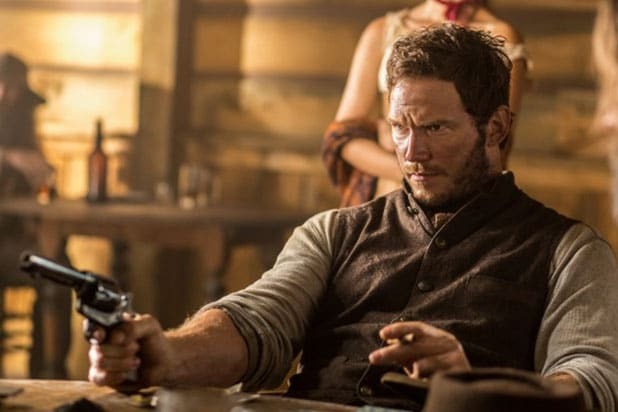 Featuring an all-star cast led by a witty and smoldering Chris Pratt and a stoic Denzel Washington, MGM and Columbia’s “The Magnificent Seven” is set to top the box office this weekend with an estimated $35 million. The Western, which has a 64 percent Rotten Tomatoes score, made $12.7 million on Friday from 3,674 theaters. It has an A- CinemaScore from audiences surveyed on opening night. It’s on track to top the debuts of other recent movies in the genre: “Django Unchained” opened to $30 million, “True Grit” debuted to $24 million and “The Lone Ranger” lassoed $29 million when it launched in theaters — the last widely-released PG-13 film in the category. Following the unit’s debut 2014 hit “The Lego Movie,” Warner Animation Group’s sophomore outing “Storks” is now looking to pass the $20 million mark, with industry tracking now pointed lower than the mid-to-high 30s predicted earlier in the week. 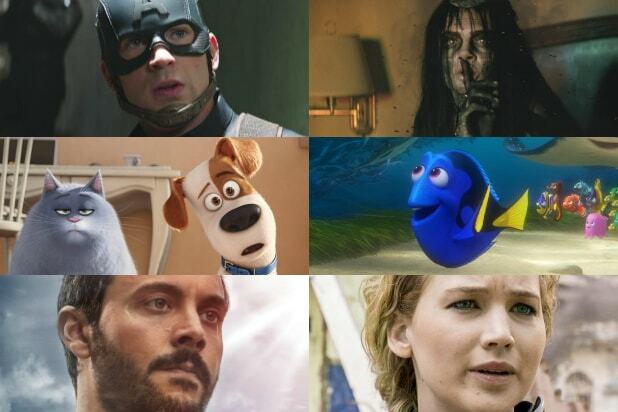 It made $5.7 million on Friday and has a 62 percent Rotten Tomatoes score and an A- CinemaScore. The animated feature was made for $70 million, and is playing in 3,922 locations. It has also opened in 33 international markets this weekend, including China, Russia and Brazil — which will add grosses on top of its aforementioned domestic tally. Featuring Andy Samberg, Kelsey Grammer, Jennifer Aniston, Keegan-Michael Key and Jordan Peele in the voice cast, the movie chronicles the challenges of one final baby delivery mistakenly assigned to the storks after they have moved into durable goods deliveries. WAG’s goal is to put out a movie per year, as its future slate includes: “The Lego Batman Movie,” due in theaters on Feb. 10; “The Lego Ninjago Movie,” coming out Sept. 22 of next year; “Smallfoot,” set for a Feb. 9, 2018 release; and “The Lego Movie Sequel,” in theaters Feb. 8, 2019, with several more to follow. Meanwhile, Warner Bros.’ true-life tale “Sully” should continue flying high, with the Tom Hanks disaster film estimated to clear $15 million in its third weekend. Both “Storks” and “The Magnificent Seven” were generating a good amount of social buzz, according to comScore’s PreAct tool. The Western represents nearly 16,000 new conversations online in the past week, with a cumulative total of more than 90,000. WAG’s animated feature inspired more than 11,000 social media mentions in the past week, with an overall total of nearly 65,000. Antoine Fuqua directed “The Magnificent Seven,” a new take on the classic story about seven outlaws assigned to protect a vulnerable town. Aside from Pratt and Washington, it also stars Peter Sarsgaard, Ethan Hawke, Haley Bennett, Vincent D’Onofrio, Byung-Hun Lee, Manuel Garcia-Rulfo, Matt Bomer and Martin Sensmeier. Produced for $90 million, it was co-financed with LStar Capital and Village Roadshow Pictures.